Rates: $190-$365 daily; $1850-$2250 weekly. Wake up to a beautiful sunrise across Europe Lake. Sit on the deck and sip your morning coffee. 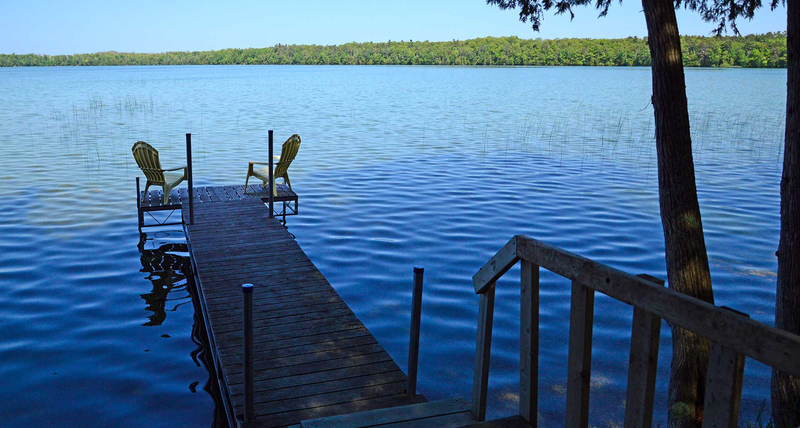 Enjoy the quietness of the woods, the soothing sound of water on the lake shore. 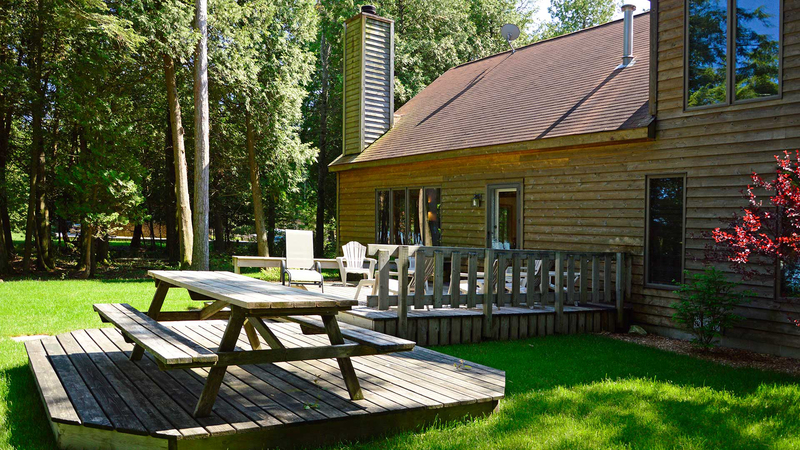 Drink in the gorgeous lake views and feel the gentle breezes thru the cedar trees with the smells of wood burning in the fireplace. The perfect gathering place. Open concept, vaulted ceiling and a cook’s delight kitchen. 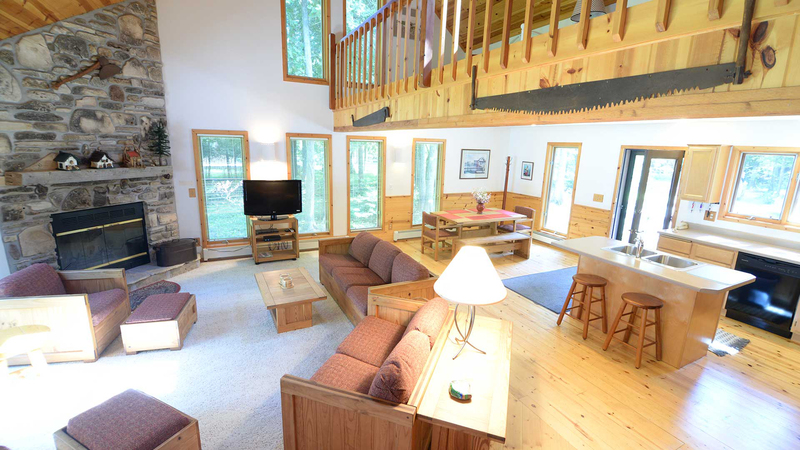 Three bedrooms, 2 full modern baths, loft and cozy family room with a huge stone fireplace and views of the lake. Sleeps 9 including children. 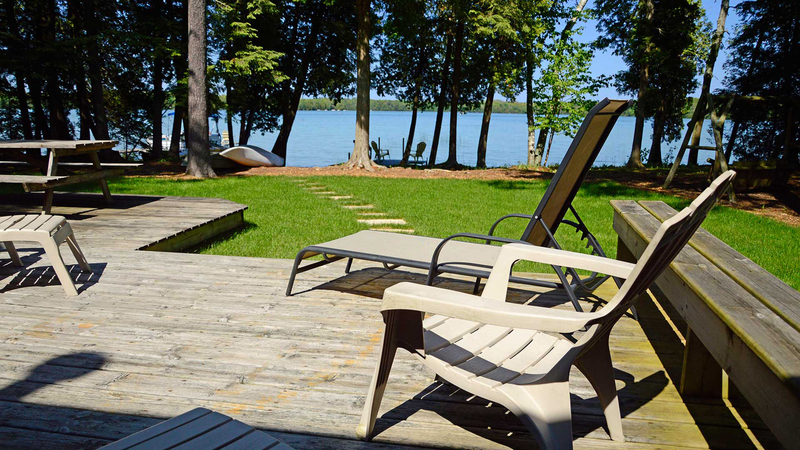 Relax on the huge spacious deck. 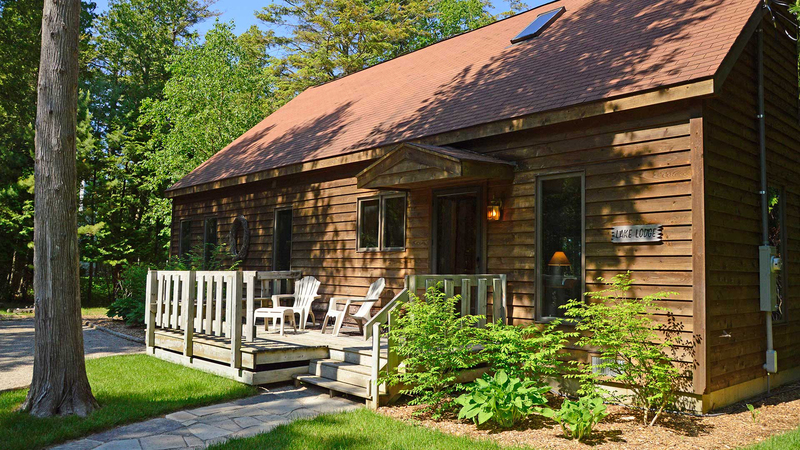 The Lake Lodge is a private and most relaxing experience.